Add group video chat to your Joomla! website. Our 3 plugins for WordPress handle everything from the basic integration to running your own pay per session platform. Add group video chat to your SocialEngine community. If you have a custom website or if it’s built on different platform you can hire us to do the integration for you through our Standard Integration Service for a one time fee of &dollar;199. 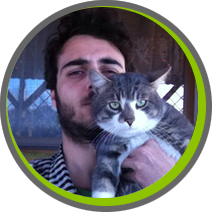 Virgil - our integration guru - will be handling the integration and he will be in contact with you as soon as you make the purchase and throught the integration process. An integration generally takes 1- 4 days to complete. For those of you versed in the art of web development - and who can handle a complex integration without breaking a sweat - we have written an integration guide to help them integrate AVChat with a 3rd party CMS.